Brandon has been a Grimsby resident all his life, growing up in the community. He completed his undergraduate education at McMaster University, where he earned a Bachelor’s of Science in Kinesiology in 2015. During this time, he worked with the Varsity Soccer and Swim teams as a field therapist. Brandon then went on to complete his Masters of Science in Physiotherapy, graduating once again from McMaster in 2017. Brandon’s clinical approach is founded in exercise-based therapy, with interests in manual therapy and acupuncture as well. 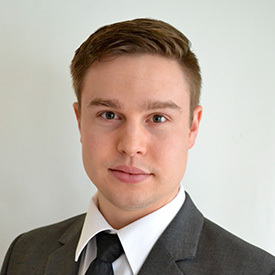 Brandon has earned his level I manual therapy certification, introductory acupuncture, and is a certified First Responder by Sport Physiotherapy Canada. He is pursuing continuing education in advanced manual therapy levels, concussion management, and vestibular rehab. Brandon believes in creating a partnership with his patients, facilitating them to take an active role in their healthcare and becoming self-empowered throughout their rehabilitation. He welcomes working with clients and athletes of all abilities. In his spare time, Brandon lives an active lifestyle as a runner, cyclist, while also playing basketball and soccer.